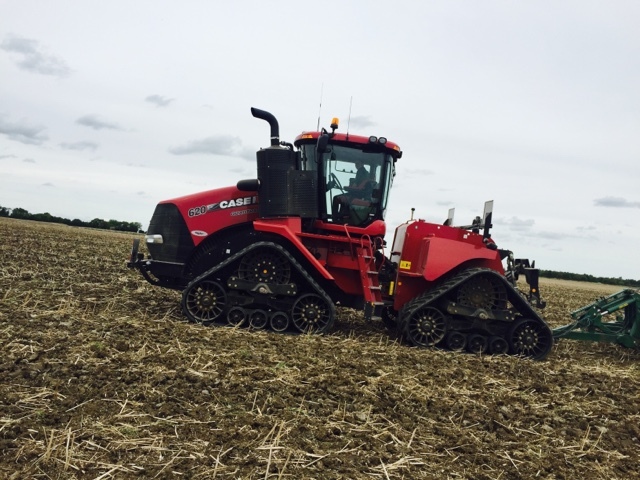 Peck’s have bought a quadtrac for demostraction. We have put on the joker, subsoiler and will be trying on the topdown after sugar beet which is always differcult as the leaves are green and slippery with the ground hard and compacted. Set to rain tomorrow so it will be interesting to see the results in those conditions.